The NRA Basics of Pistol Shooting is a two-part course consisting of an e-learning portion (Phase 1) completed online in your own timeframe and a hands-on practical portion (Phase 2) conducted at a range under the guidance and supervision of an NRA certified instructor. 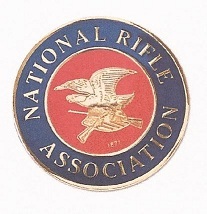 The course is intended for all adults regardless of previous shooting experience or NRA affiliation. Here at Pine Tree Rifle Club the instructor-led training portion of the course (phase II), our NRA certified instructors will validate comprehension and application of gun safety rules; range protocol; proper handling; loading and unloading procedures; application of pistol shooting fundamentals; stable shooting positions; live fire; and a final shooting qualification.